If you’re like most people, you’re neither at the top nor the bottom of the likeability scale. If you were at the top, you’d know it, because your many friends would constantly tell you what a charmed life you lead—and you’d have to agree. You can imagine what this life might look like: You’d still have your share of bad news and bad luck, but it would seem as if all of life’s close calls fell firmly in your favor. A practical self-help book with a young, fresh voice aimed squarely at the reader in search of personal transformation who buys books by Dr. Phil McGraw, Tony Robbins, Dale Carnegie, Zig Ziglar, Norman Vincent Peale, Stephen Covey. The choices other people make about you determine your health, wealth, and happiness. And decades of research prove that people choose who they like. They vote for them, buy from them, marry them, and spend precious time with them. The good news is that you can arm yourself for the contest and win life’s battles for preference. How? By raising your likeability factor. When you improve these areas and boost your likeability factor, you bring out the best in others, handle life’s challenges with grace, enjoy better health, and excel in your daily roles. 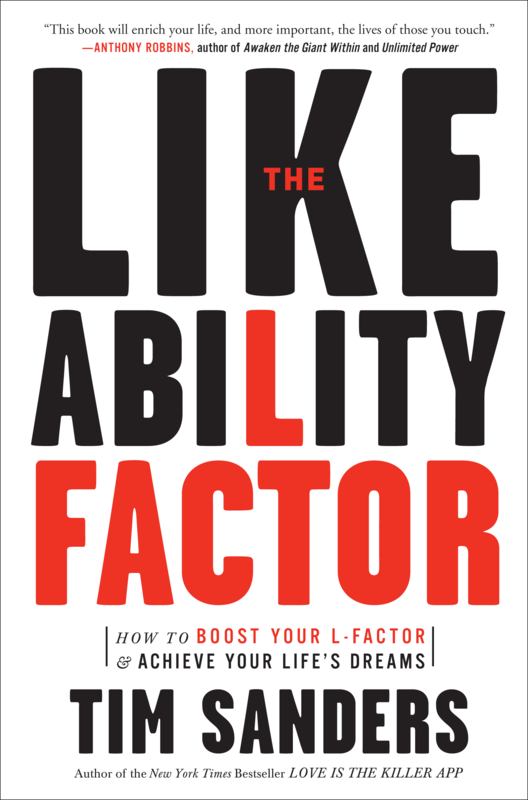 You can win the close calls and tight competitions that define and determine success and happiness at work and in life—The Likeability Factor can show you how! Tim Sanders is the author of the New York Times bestsellers The Likeability Factor and Love Is the Killer App. He is a cofounder of the research consultancy Deeper Media, Inc. and the former Yahoo! Chief Solutions Officer, as well as a frequent guest on radio and television programs around the country and an irrepressible advocate for good values in the business world. Sanders lives in northern California.